The Arvest Bank Theatre at The Midland was built in 1927 (then known simply as The Midland Theatre) and was designed to showcase both the incredibly popular silent films of the era and live stage entertainment. But the early years of the Midland also marked the revolutionary beginnings of sound cinema. Upon completion, this theater was the third largest in the country, surpassed only by the Roxy and Capitol Theaters, both in New York City. 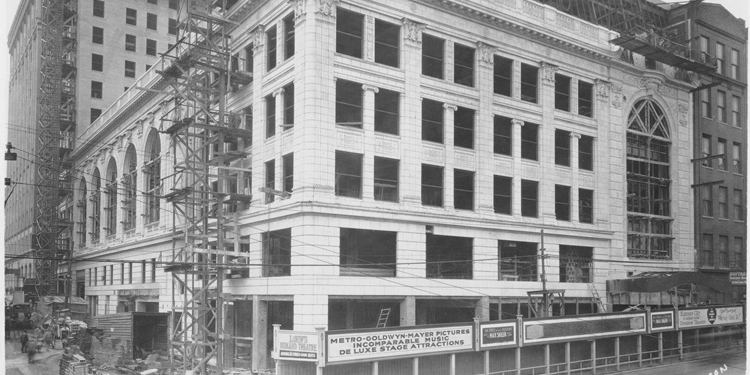 The Midland Theatre under construction in 1926, promoting MGM Pictures. Photo via kchistory.org. The Midland didn’t just show movies. It also served as a filming location. 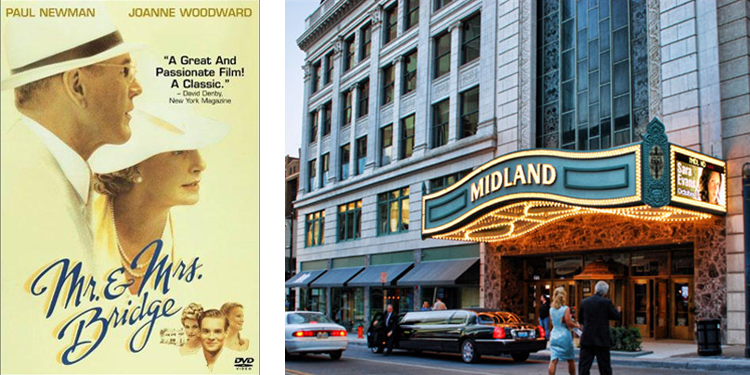 When the film Mr. and Mrs. Bridge, starring Paul Newman and Joanne Woodward, came to town, the location was used in a grand theater scene that required hundreds of local extras. 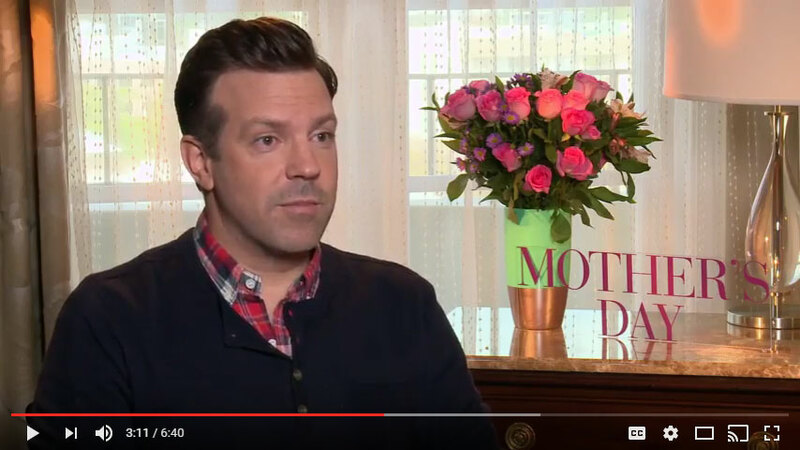 One of them was 14-year-old KC native and future Hollywood funnyman Jason Sudeikis (a former Saturday Night Live cast member and star of the Horrible Bosses movies). This scene at the Midland was Sudeikis’ first appearance in a movie. The Arvest Bank Theatre at The Midland was the first theater in the country to have a heating and cooling system. This downtown hub generates buzz with citywide watch parties, huge concerts and terrific food.